Many months ago, writer-director Oren Shai was kind enough to send me a copy of his short subject “Condemned” (2010), a tight, engaging film that combines exploitation cinema with the feel of a 1950s genre Western. Fortunately, Oren has just released the film online here in streaming video. Because it’s online, I won’t spoil a bit of it for you. It’s a terrific short, and I highly recommend you give it 14 minutes of your time. 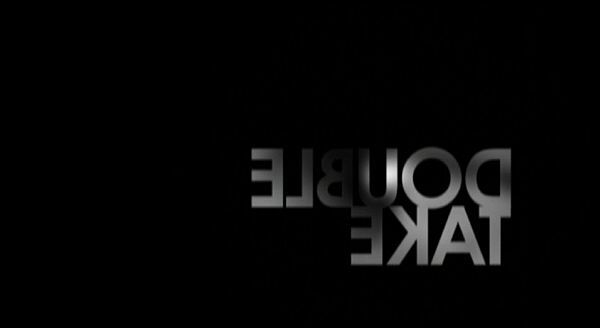 Our feature today is Double Take (2009), a quasi-documentary and meditation on Alfred Hitchcock, commercialism, mortality, and the Cold War. 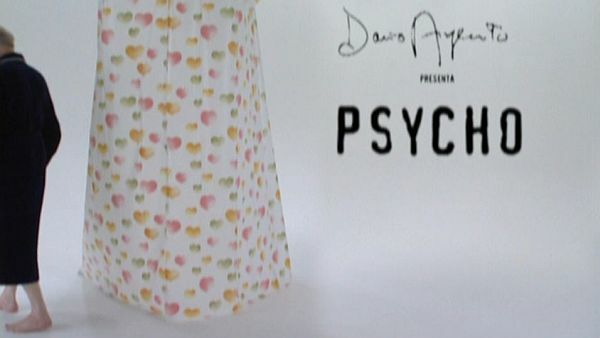 The film combines four main elements: Footage of Hitchcock from his movie cameos and TV series, interviews with Hitchcock lookalikes, clips of Cold War events focusing mostly on the Space Race and Folger’s commercials from that era, all overlaid with a fictitious account of Hitch meeting an older version of himself based on Jorge Luis Borges’ short story August 25, 1983. It seems many reviewers don’t know what to make of Double Take, and I admit, if you go into it expecting solid, concrete links between the four main elements of the film, you will be extremely frustrated. That said, however tenuous they may be, the links between these themes are compelling. Hitch dealt extensively with the idea of doubles and doppelgängers, which connects to a series of clips showing political figures moving fluidly from one double relationship to another: Khrushchev and Nixon, Nixon and Kennedy, Khrushchev and Castro, Kennedy and Castro. 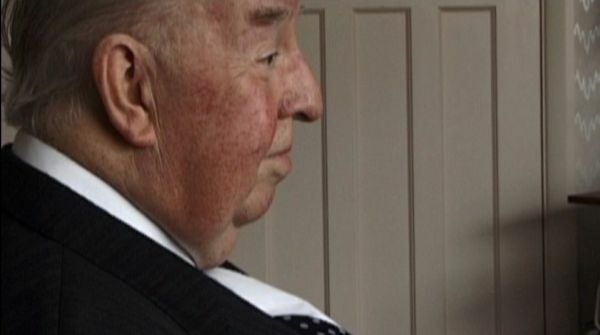 It also serves as a basis for Hitch’s movie cameos, moments captured where he is both director and actor. 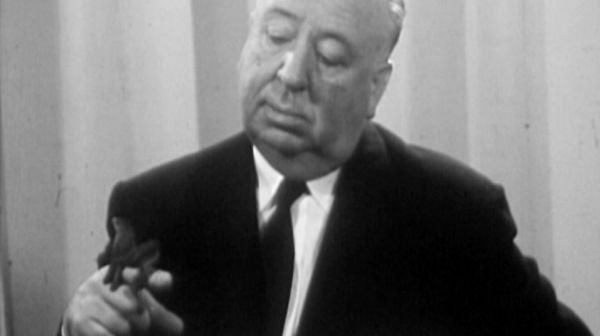 Further, in “Alfred Hitchcock Presents,” there are many intro and outro skits showing Hitch playing with the idea of body doubles and similar themes. Also in the intros and outros are his standard complaints about commercial interruptions, which directs us to the outdated sexist-camp of Folger’s commercials. Finally, coffee (and tea!) figure prominently into Borges’ story, originally about Borges himself but adapted for the film by putting Hitch in Borges’ place. Secondary themes include both body and voice doubles for Hitch, most notably Ron Burrage. It’s all interlinked, and the juxtaposition of these ideas is fascinating and endlessly entertaining. Burrage looks a lot like Hitch, except he has a better nose. Sorry, Hitch! Burrage’s nose is fantastic. According to the film, Burrage and his partner both passed away sometime between filming and release; however, I can find nothing online about Burrage’s passing. Director Johan Grimonprez notes in an interview about the short subject “Looking for Alfred” that was a precursor to this film that Burrage was ill during filming, so I suspect the worst. Burrage was a fascinating fellow. I laughed really hard at this, and I don’t even get it. Again, you can’t go into this expecting answers to complicated questions or road maps that will navigate you through complex historical-interpersonal interactions, but that’s not the point of the film. It will give you new insights, reveal ways to combine previously unrelated concepts together, and show how inextricably intertwined everything is.